UPDATE: Effective March 7, 2019 we are now back up and running, we have alcohol free fuel for all your boating and other gasoline needs. 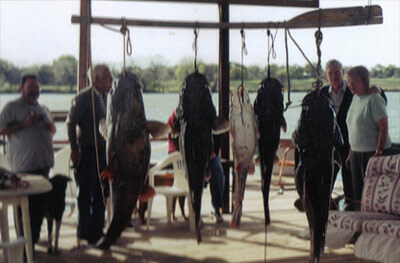 Fisherman's Haven is a semi-private, non-resident mobile home park and marina situated at the confluence of the Llano and Colorado rivers on Lake LBJ in Kingsland, Texas. It is the oldest continuously run, family operated camp on LBJ. We have 325 feet of lakefront and offer some of the finest in Lake enjoyment with on-the-water gasoline and oil facilities, boat slips, and a lighted fishing dock. We have overnight RV lots in addition to mobile home spaces. We have bait, tackle, arts & crafts, snacks, and sodas in our store. The Camp began as the dream of Woodrow and Margie McDougald. They bought a 2.5 acre fish camp and an adjoining 5 acres in 1959 and turned the small fish camp with 4 boat slips and an old platform dock into 325 feet of prime waterfront complete with retaining wall, ten slips, a fishing dock, launch ramp, fuel facilities, 22 mobile home and RV sites and 34 dry storage boat stalls. Click here to read more.